Outer Banks Sushi Restaurants – The Outer Banks is home to a number of premier restaurants that offer a wide variety of delicious sushi dishes that incorporate only the freshest Outer Banks seafood. 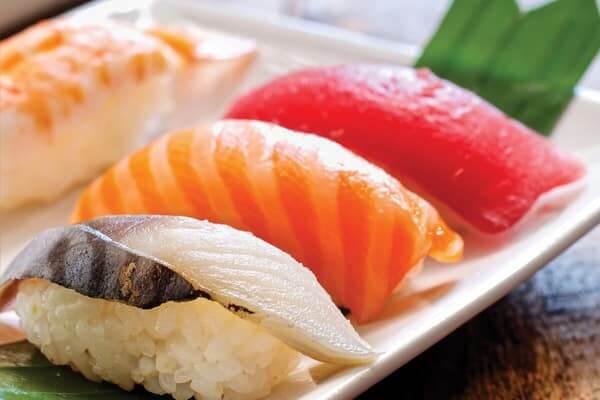 From signature sushi rolls to authentic Japanese cuisine, these Outer Banks Sushi Restaurants are bound to hit the spot when it comes to your sushi cravings! At Miller’s Seafood & Steakhouse, Sushi Chef Ambassador Orlando Moreno brings to every dish his years of experience working side by side with true Japanese masters of the art. Orlando created a type of sushi that revolutionizes a fusion between New American and Japanese cuisine while incorporating the freshest local catch. 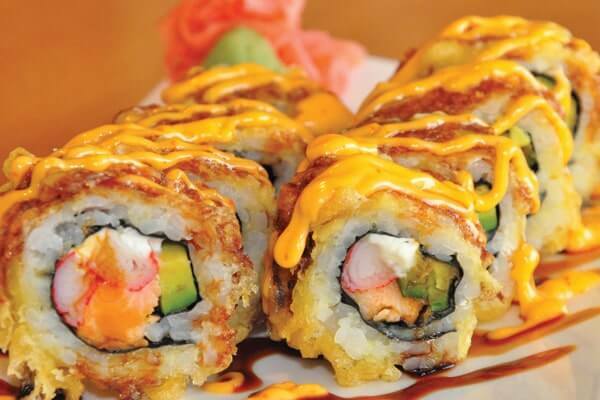 At Miller’s Seafood & Steakhouse, our Outer Banks sushi is unique, delicious, attractive, and is made fresh from scratch daily with care and passion to best please the palate of all our guests. 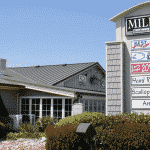 Outer Banks Sushi Restaurants – Kill Devil Hills. 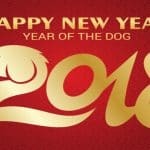 If you are looking for the best Outer Banks sushi restaurant, you are sure to find it at Sanya Sushi Bar. This family-owned business is open year round and offers unique and mouthwatering rolls that please every palate. 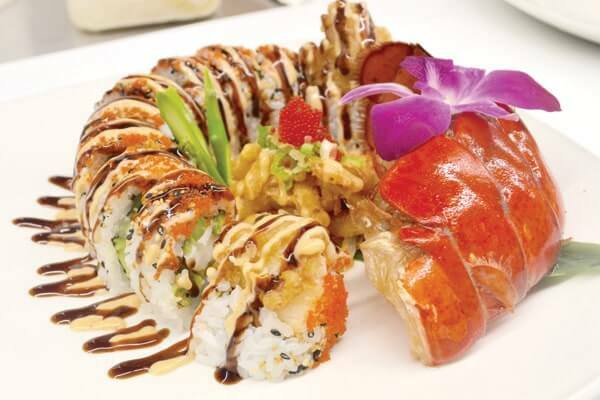 Sanya favorites include the Sanya Roll, featuring fried oyster, avocado, salmon, and spicy crab cake on top. Another big hit is the Sunflower Roll, complete with tempura jumbo shrimp, spicy crab, salmon avocado, and crunch rolled with soybean sheet. 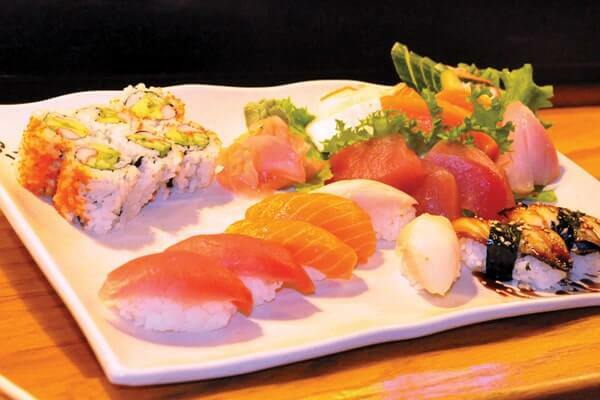 Taiko serves the area’s finest and freshest sushi assortment on the Outer Banks. Relax in their casual, family-friendly atmosphere where you can enjoy your favorite sushi roll or try something new from their extensive menu. Lunch & Dinner and a show! 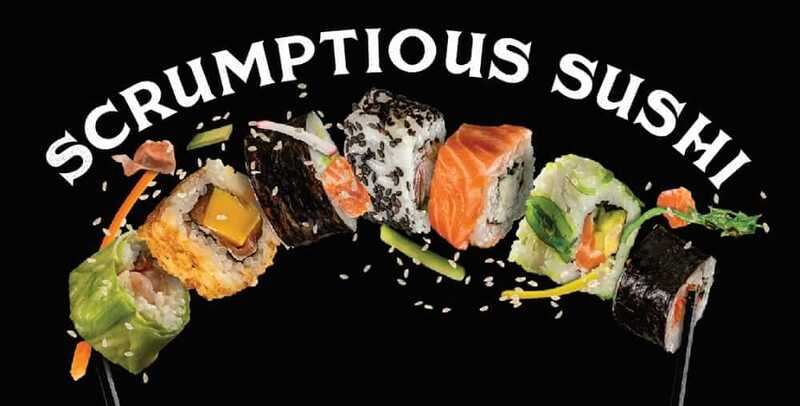 Fuji offers a wide variety of sushi options ranging from sashimi to our signature sushi rolls. Don’t like sushi? Come sit at one of our hibachi grills and watch our chefs prepare your meal tableside! Don’t feel like sitting down? Call us and we’ll make you a sushi tray or hibachi meal to go! The poke bowl featured on the front cover…. what restaurant did this dish come from? Hello, thanks for asking. The poke bowl photo on front cover, although similarly served at many fine establishments at the Outer Banks, is not from any one particular Outer Banks restaurant so that level of exposure remains neutral and no one specific restaurant is deemed more favorable.